Even grained granite specimen from near Bowen, Queensland. Pink potassium feldspar, cream plagioclase, feldspar, small flakes of biotite. 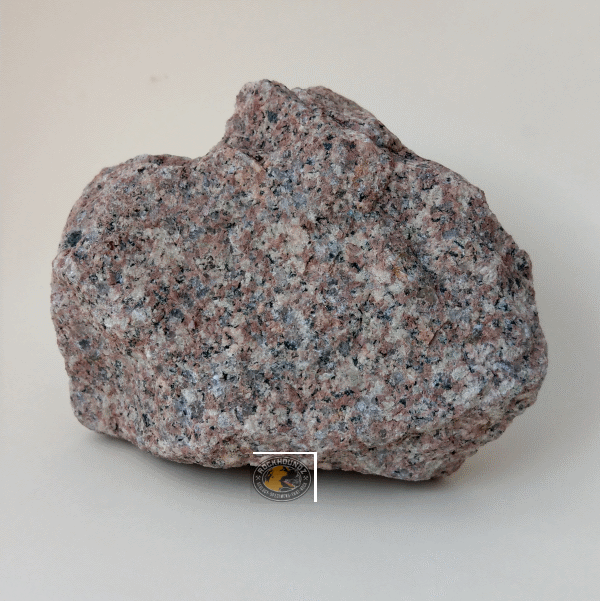 This specimen is a textbook example of granite for teaching earth science in the classroom.